I thought this was a good ethnography and enjoyed reading the descriptions. However, I disagreed with many of her conclusions and assertions. I especially disliked this claim, a central one to the book: "Deep down, every adult Pagan is that one eternal child [i.e. Peter Pan]." (p. 81) I agree that Pagans value playfulness. 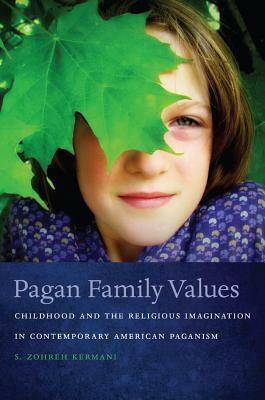 I agree that Pagans tend to focus on childhood as a central point of the "religious imagination" as she says. I also agree that the majority of Pagans consider children to be more spiritually attuned than adults, although I think this is part of a wider cultural pattern that goes way beyond Pagans. For example, most contemporary Christian groups see children as innocent and pure, and cite Biblical sayings like "A little child shall lead them." (In some past eras, by contrast, Christians saw children as stained by "original sin" and as naturally sinning beings who needed the strong guiding hand of adults to be corrected.) So I think there's some faulty logic in implying this view is particular to Pagans and not shared by other religious/ spiritual/ cultural groups. Similarly, I agree there is a discourse among modern Pagans about "indigo children" and the like, which I also find problematic - but again, I think it's connected to other cultural movements ("attachment parenting," child-centered parenting practices, etc) which go way beyond Pagans.Essentially, she says that because most Pagans value playfulness and consider children to be more spiritually attuned than adults, their interactions with children are centered around their wish to be a child forever. She asks the question: When adults are so focused on their own "inner child," how does that affect the actual children around them? It's a good question, but as I read it, her research actually found that it doesn't really affect the children much. Even though the grownups make comments like "I'm not a grownup," the kids still expect them to act like grownups, and they still do act like grownups. Kermani says this, but then goes on to claim that it does affect the children, and that Pagan children seem precocious and adultified. Her descriptions of this are not convincing. The kids sound like any kids who have grown up in highly spiritual households. For example, one little girl "solemnly" explains to the author that a dead butterfly she sees will "return to the Goddess" before "coming back alive" through reincarnation (p. 86) What's so overly precocious about that? Sounds just like any other spiritual statement you hear from a young kid. In another family it would be the child solemnly explaining that the dead butterfly will go to Jesus and get to spend its life in heaven.By the way, I really disliked the anecdote she used to open the book, and she never returns to the anecdote later to discuss its relevance to the rest of her content, so I'm not quite sure what she was trying to say. I imagine it stood out to her as an unpleasant, uncomfortable experience, but it didn't seem reflective to me of Pagans in general, and it didn't seem to reflect the rest of her ethnography either.Oh, yeah, and I was really pissed off by this quote she included from another sociologist about Pagan rituals' irreverence and playfulness: "'They [Pagan rituals] make few cognitive, moral, or even social demands on participants.'" (p. 69) Wow. I don't even know where to start with that one. I don't think he and I have attended the same rituals.